Haivision Play offers a series of high-performance video player applications that provide enterprise video users with the flexibility to watch their Haivision Media Platform video on any screen. Haivision Play is available for mobile devices, managed set-top-boxes, and Apple TVs. 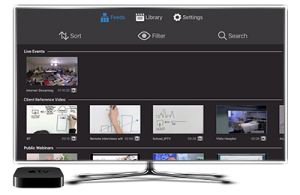 Haivision Play gives users a high quality viewing experience anywhere, while ensuring controlled access to video content for individuals and groups. With Haivision Play, content is protected from unauthorized viewing and sharing with multicast AES and encrypted HLS. Furthermore, permissions and authentication through SSO, LDAP and active directory ensure your enterprise video content is safe and secure, no matter how your employees watch it. 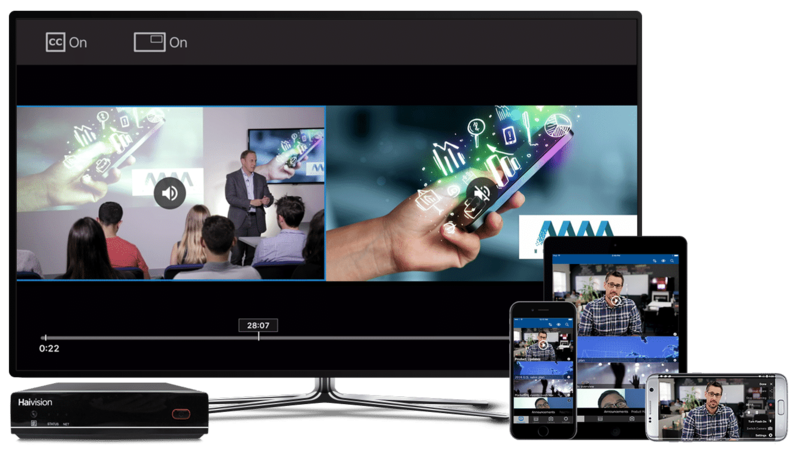 Haivision Play provides users with mobile access to their Haivision Media Platform live streaming events, IPTV channels and on-demand videos. 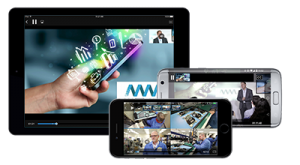 Users have the flexibility to watch, contribute, and record directly from their mobile device, no matter where their work takes them. In addition, iOS users can upload content from their device’s personal library and download videos for offline viewing. Haivision Play takes full advantage of Apple TV’s clean design, intuitive user interface and remote to enable easy search and browsing so users can access and watch authenticated, high quality content from the Haivision Media Platform system. The Haivision Play app for Apple TV is available for free on the Apple TV App store.